On Thursday, the 3rd of June 2016, the official naming ceremony of the further two intermediate class ferries under construction for BC Ferries took place at the Remontowa Shipbuilding yard, the member of Remontowa Holding. 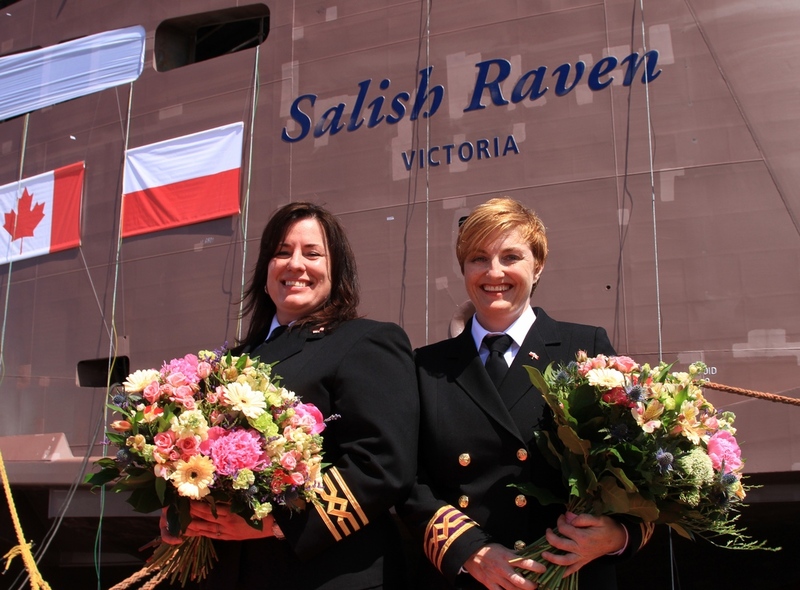 Michelle Le Tourneau i Mrs. Jodi Gaudet, the Godmothers of the ferries smashed champagne bottles against the hulls of Salish Eagle and Salish Raven as the vessels marked another step toward their entry into the BC Ferries fleet. – It’s another very exciting milestone as we get closer to bringing these three Salish-class vessels into service – said Mark Wilson, BC Ferries vice-president, engineering. 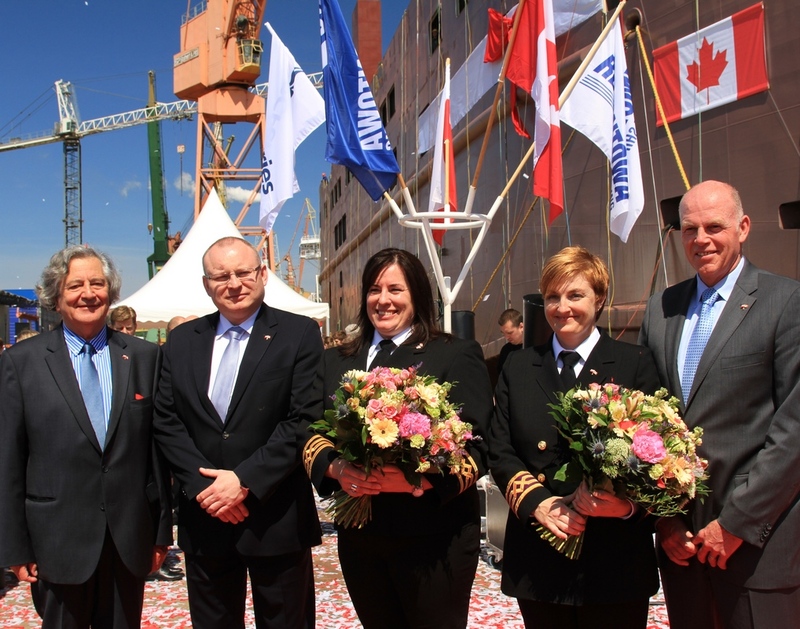 It’s worth recalling that the ceremony for the first Salish-Class vessel at the yard in Gdansk, Poland was held on November 24, 2015. The Salish Orca is in an advanced stage of outfitting. – They are new intermediate class of ferries, which we plan to build more than just three of these – Mike Corrigan emphasizes. – They are going to be dual fuel which is important because it reduces our environmental footprint by over 50 percent and also potentially the cost of fuel for over fifty percent which has a huge impact on keeping fares down as well as making sure we have a clean environment as possible – he admits. 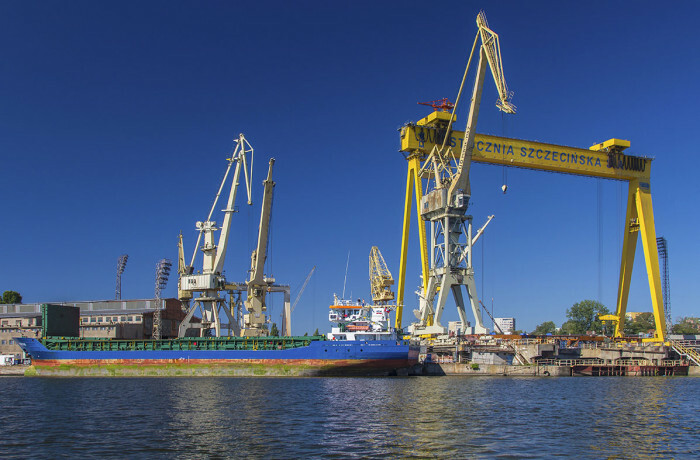 The use of LNG will result in the reduction of an estimated 9,000 metric tonnes of carbo dioxide equivalent per year, the same as taking 1,900 passenger vehicles off the road annually, because natural gas is cleaner burning than traditional marine diesel fuel. 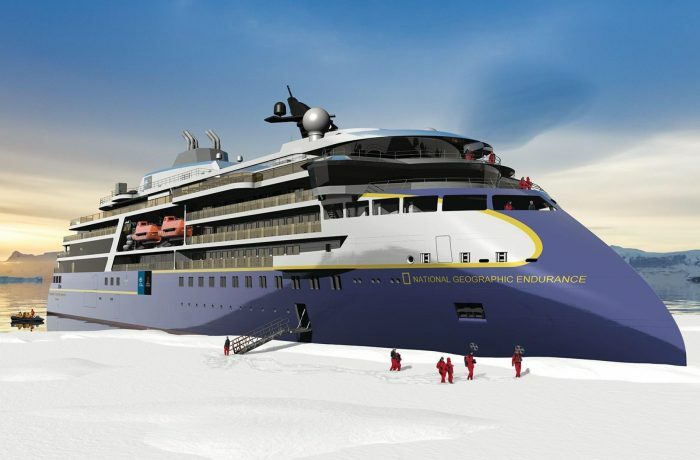 The new ships will run on LNG as much as possible, almost completely eliminating SOx (Sulphur Oxides), reducing NOx (Nitrogen Oxides) to a fraction of what we see from diesel fuel and nearly eliminating particulate matter. The ferries will operate every day, 365 days a year, serving the area between Victoria and Vancouver through the southern Gulf Islands providing essential service for the people living on those Islands. They measure approximately 107 metres and can carry 145 vehicles and up to 600 passengers and crew. 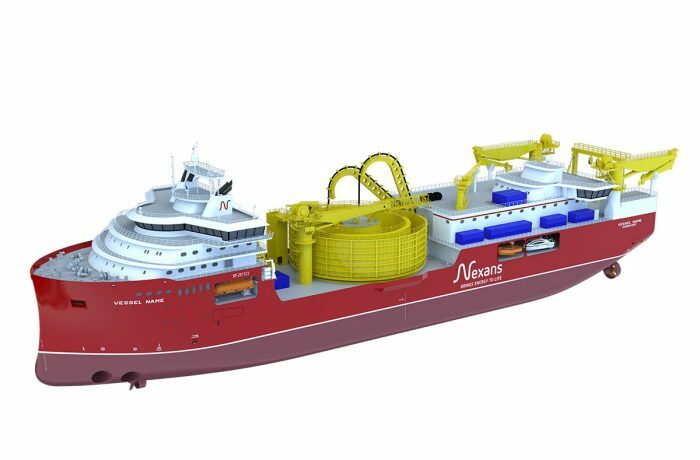 The vessels will be constructed for a service life of approximately 40 years. The vessels, which will be the first in BC Ferries’ fleet to run on natural gas, are on budget and on schedule to begin service by summer 2017.